Everyone likes working in excellent conditions. Nice office desk, enough space, good environment, nice atmosphere and yes – a clean and fresh washroom! Some would not remember to include a fresh and clean restroom in their list of the perfect working conditions. Those people probably never had to work in an environment where there is a constant unpleasant smell coming from the restroom. Not very pleasant, right? The odours from the washroom can easily spread to the rest of your workplace and affect your work routine as well as your productivity level. If you run any type of business where having your physical workplace is needed, you know how even the smallest issue could have on your business and sales. Don’t allow for the condition of your washroom to be the factor that hurts your productivity levels. 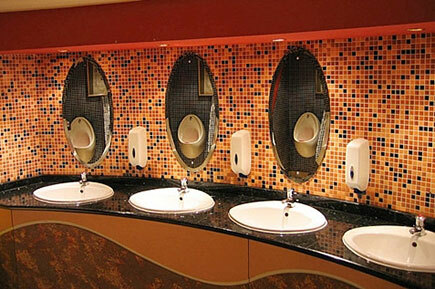 Washrooms are not easy to maintain and look after. They need a lot of work to remain clean and sanitised. In order to help you learn more about malodours and how to properly remove them, here is the list of several causes of restroom odour and the best ways to deal with them. Don’t think that cleaning washrooms is an easy job. It includes deep cleaning of different kinds of surfaces which require different tools and cleaning agents. Some parts are very hard to reach and tend to be neglected so they become the sources of bacteria. To prevent this from happening frequently clean all washroom areas with proper disinfectants and wipe them dry afterwards. After doing this, these areas will be clean, hygienic and fresh. Poor ventilation system is one of the biggest causes of washroom odours. With inadequate ventilation, moisture in the air causes the growth of germs and bacteria which results in the appearance of odours. So, it is necessary to have a good ventilation system in your washroom since it will help fresh air to circulate and remove the moist air from enclosed spaces. Also, it would be recommendable to keep washroom windows open for as long as possible. Although it may sound a bit weird, yes, this is a big deal when it comes to spreading germs and bacteria all over the washroom. With each flush, invisible mist rises. This mist contains bacteria which spreads to surrounding surfaces such as seats, toilet covers, walls, etc. If it is not cleaned, it causes the odour problem in the washrooms. Your first line of defense are the toilet seat sanitizers. Additionally, it is a must to spray and wipe all areas surrounding toilets and urinals with a disinfectant cleaner. The best thing would be to do this a couple of times during the working day. You cannot just pick any cleaner for your workplace washroom and hope it will work. One of the reasons is that you cannot use one purpose cleaner for all the surfaces. If you wonder why, the answer is simple – some surfaces need disinfectants, and not just the regular, but the really powerful ones. 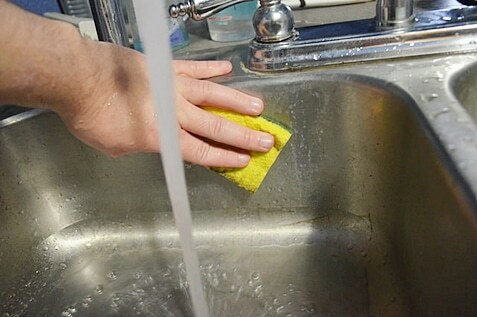 So, in order to kill all the types of bacteria and germs, you can use proper germicidal cleaners which will do the job thoroughly. If you do not want to bother your staff with this issue, maybe you should consider hiring a professionally managed service for cleaning your washrooms. They have the knowledge, good equipment and great tools so none of the washrooms’ tasks is impossible to them. In some cases, those unpleasant smells from your washroom don’t have anything to do with the cleaning but the plumbing system. The greatest majority of the bacteria and germs is found in the pipes and if not cleaned and maintained properly this can cause huge problems and not just the smelly ones. Hire good staff who will know how to take care and keep the plumbing system in the perfect condition. It may cost you a little bit more, however, in this way you will always have a perfect plumbing system on one hand, and a man-in-need on demand if you need a problem-fixing urgently on the other. These are just some parts of your washroom where bacteria and germs may be found, causing the unpleasant smell. In order to have a clean and sanitised washroom which always smells nice and fresh, be very picky in choosing the chemicals used for cleaning. 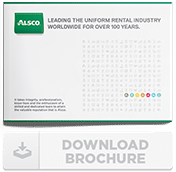 Alsco’s products for keeping the washroom clean do just that. We also offer a premium, customised washroom service to respond to the needs of your workplace. Call Also’s friendly representatives right away and find the perfect solution for your business.